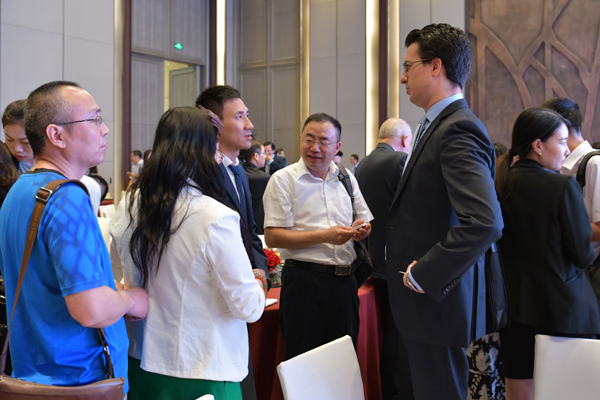 Brief：Successful Road Show and Conference held in Beijing by Proinversión Perú on Thursday 17th and Friday 18th May. 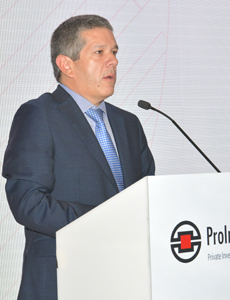 Cesar Martin Peñaranda, Director of Investor Services at ProInversión and Gustavo Ibarguen, ProInversión´s Portfolio Director formed the delegation that travelled to China especially to meet with key counterparts from the business and investment sectors. They held several meetings with Chinese holdings and enterprises presenting current investment opportunities in Peru across sectors including Natural Gas projects, infrastructure, water and sanitation, transport and healthcare. China, a huge market in the worldwide trade and investment industries, is a priority for ProInversion strategic global campaign. 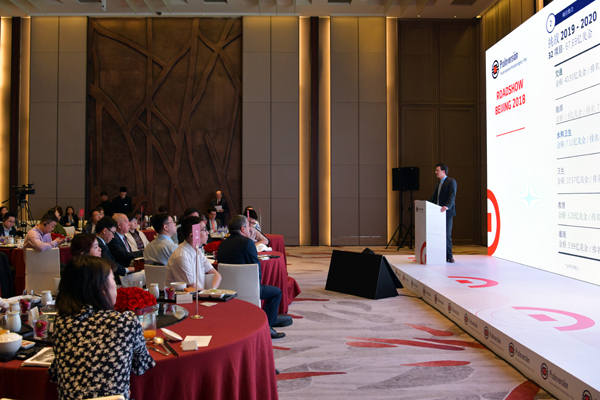 A full agenda of meetings was arranged for the first day and a conference took place at the Park Hyatt Beijing on Friday 18th where key speakers presented investment opportunities in Peru, including Mr. Guotao Xu from Bank of China who talked about the the current Peruvian economic outlook. 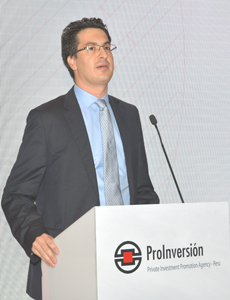 Cesar Martin Peñaranda, Director of Investor Services at ProInversión introduced investment opportunities in PPP projects in Peru. 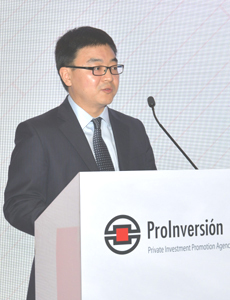 Gustavo Ibarguen, ProInversión´s Portfolio Director welcomed Chinese investors to Peru. Guotao Xu, Director of Corporate Finance in Bank of China representative office in Peru, made a speech on peruvian economic outlook. The delegation of Proinversión Perú had meetings with Chinese investors over these two days and held a Conference at the Grand Hyatt opened by His Excellency The Peruvian Ambassador to Republic of China, Mr Luis Quesada, addressing the local business community on investment opportunities and promoting incentives that Peru offers to Chinese companies interested in doing businesses in the country. Chinese investors are very interested in Peruvian investment projects. 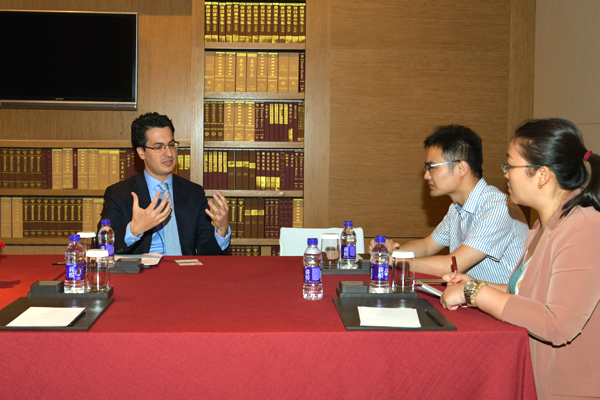 Cesar Martin Peñaranda, Director of Investor Services at ProInversión was interviewed by Chinese media. Peru and China hold a free trade agreement and both countries are members of the Asia-Pacific Economic Cooperation, putting Peru and China in an ideal scenario to further strengthening the commercial relations between these two nations. The Agency for the Promotion of Private Investment - PROINVERSIÓN -, is a public agency which promotes private investment in public services and public infrastructure works, as well as in state assets, projects, companies and other state activities. Our Vision is for our agency to be recognized by investors and the population as an effective strategic ally for the development of investment in Peru. Our Mission is to promote sustainable private investment with efficiency, quality and transparency, to the benefit of the population. Among the sectors to be promoted during the Asia Road Show 2018 are water & sanitation, energy and telecom among others.